20°c is a magic figure when it’s the combined sea and air temperature. Over that and open water swimming starts to be more of a pleasure than a challenge. This afternoon we had 11°c on land and 10.3°c in the water. 21.3°c? We needed electrolytes to replace the sweat. Seven happy swimmers today. No excuses to stay in the pool any more! 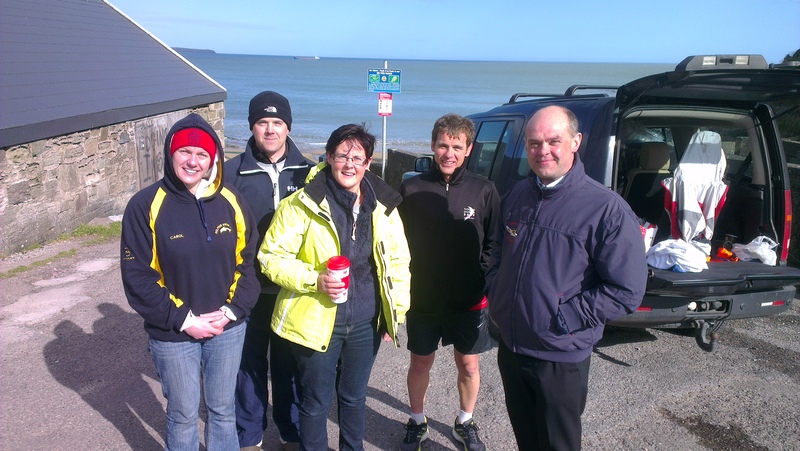 Carol, Eddie, Maeve, James & Bernard – cooling down after the swim..